During WWII’s Battle of the Coral Sea, 5 warships were sunk and over 1,600 men killed. The historic nature of the battle is not in the numbers since other naval battles were much larger. For the first time in human history, none of the naval vessels in the battle fired directly at each other. In fact, none of the combatant vessel sighted an enemy ship. 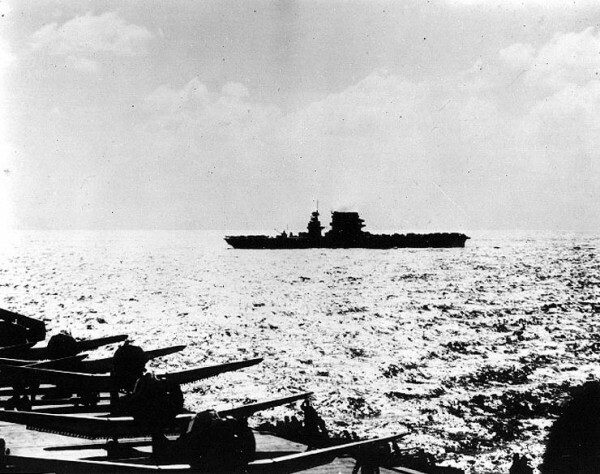 USS Lexington during the Battle of the Coral Sea, seen from USS Yorktown (foreground), 8 May 1942. The large number of planes on deck and low sun indicate that the photo was taken early in the morning, prior to launching the strike against the Japanese carrier force. The decks of the carriers landed and launched aircraft in rapid succession. The deck crews worked feverishly to keep planes in the air. Despite their skillful and valiant effort, all of the carriers in the battle took damage. Two sank. The pilots and aircraft of the Japanese and American carriers ended the era of battleship dominance. The heavy guns of the cruisers and destroyers were effectively silenced while the carriers and their planes dueled. The pilots, not the big gun batteries, prevented the Japanese from landing troops at Port Moresby, New Guinea. The Battle for Souls rages on. The enemy continues his mission to land sinfulness in the hearts and minds of men and women everywhere. As the Battle continues in full fury, the Christian Church has the opportunity to respond as never before. Surprisingly, the Church Herself does not engage directly with the culture. Instead, the Church fuels and equips, trains and instructs, Christian men and women. After arming them with Scripture and the Spirit, the Church launches believers into the fray. 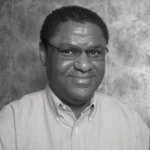 Is the Church important and vital to believers? Of course. Yet, it’s the individual Christian who does the heavy lifting in reaching and wining souls. Large outreaches often draw large crowds, but its one-on-one, or one-on-few relationships where the essential work of salvation and Discipleship gets done. The need for teaching and training new saints has been present from the beginning. Jesus discipled the Disciples. The Disciples discipled the Roman world. Not even the outpouring of the Holy Spirit has altered the process. Peter’s Pentecost sermon can easily be called an outreach event. The one day addition of 3,000 to the Church is clearly a desirable outcome. Who wouldn’t be delighted with Sunday after Sunday of wild growth? Pentecost Sunday was an unique event, even for Peter and the Disciples. For most ministers and ministries, growth requires a lot of hard work and long days. 2nd Chapter of Acts results come less often than we would like. Still, we pray, plan and perform. What we don’t always emphasize is the follow-on discipleship. After you get them, what do you do with them? More importantly, how do you turn newly redeemed lives into soul winners?